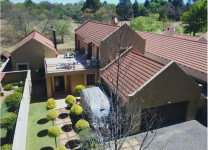 Today Centurion features modern shopping malls, several entertainment spots, a theatre, golf courses and a driving range. Numerous English and Afrikaans schools (Primary and High). 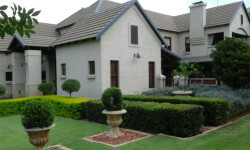 Several hotels including Irene Country Lodge as well as guest houses. The UNITAS hospital is the largest private hospital on the African continent (including a helipad) and is part of the Netcare group. Technology companies like Aerosud, Accenture, Denel Dynamics, Siemens, SAAB Grintek Technologies, Telkom are located in Centurion. The Gautrain Centurion station is almost in the middle of one of the longest viaducts (elevated section) on the Gautrain system stretching from the John Vorster N1 interchange in the south, and to Jean Avenue N14 interchange in the north. The station is situated near the Centurion Lake. Passengers will experience a panoramic view of Centurion entering or exiting the station. Office 01. Byls Bridge Promenade Bloukrans Road Highveld Centurion.